Our Eden Mobility Doncaster store formed the foundations of Eden Mobility as it is today. It was first located at 20 Cooke Street, Bentley, and remained there for 8 years until David and Karl realised they needed to serve the heart of the community in the centre of Doncaster. The Doncaster store is located at 52 Market Place, across the road from the popular Fish and Indoor Market. Parking is available directly outside the store between 9.00am - 10.00am and 4.00pm - 5.00pm. If arriving by car it is advisable to come on non-market days which are Monday, Wednesday and Thursday. There are hundreds of products in the store for you to try, touch and feel, including a fully working stairlift demonstration. We have 7 used mobility scooters that are available to view at our Doncaster store. If you live in Doncaster and you are looking for a mobility scooter for yourself or a loved one, come and visit Eden Mobility at 52 Market Place. We have a selection of scooters available for you to see and we'll be able to provide helpful and knowledgeable advice. 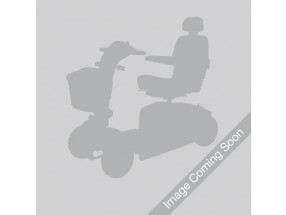 Come and see our range of powerchairs in Doncaster today at Eden Mobility. We have a variety available to suit everyone's requirements. We have a selection of rise and reclining chairs available to view at our store in Doncaster. All of our rise and reclining chairs are made using only the finest, highest quality materials and are built to last. Come and join us for a cup of tea or coffee today and see them for yourself. If you are interested in a stairlift then come on down to our store in Doncaster. We have a demo stairlift ready for you to see and we'll be able to sit down and discuss your requirements. We'll provide knowledgeable and friendly advice to help you with your decision. If you are looking at buying a wheelchair for yourself or somebody you know, come and take a look at our range in store today at 52 Market Place. Our friendly team will be able to answer any questions you may have on our range of wheelchairs in store.